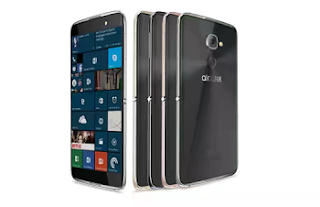 Alcatel just launched a mobile phone that has Windows 10, the name of the device is Alcatel IDOL 4S, it came with a lot of improved specifications which are as follows; 4GB of RAM, 21-MP Sony IMX230 lens rear camera with dual Led flash, so many 4GLTE band and frequency supports, Snapdragon 820 processor and many more. The operating system of the phone supports Continuum and Microsoft Office apps. And it is imarketed as a Virtual Reality (VR) smartphone. Also the sales box of the device comes with virtual reality goggles. 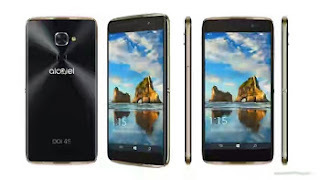 Below comes the full specifications, image and price of this device Alcatel IDOL 4S.